“Deadpool” shattered records and stunned Hollywood with this weekend’s S135 million box office opening, which is projected to hit $150 million when the four-day returns are counted after Monday’s Presidents Day. If “Deadpool” hits that mark, and there’s no reason to think it won’t given the tremendous word of mouth, it will have more than doubled the pre-release projections of distributor Twentieth Century Fox and industry analysts. There are no records kept on that, but it is unprecedented. In the process, it also will have nearly tripled its $58 million production budget in four days, guaranteeing a sequel. Tracking had the film between $65 million and $75 million going into the weekend. The reviews were good (84 percent on Rotten Tomatoes) and when the CinemaScore came in as an “A,” the word of mouth took off. Saturday’s $42.5 million haul was off just 1o percent from Friday’s $47.4 million, which included the record $12.7 million Thursday preview grosses and Fox saw Valentine’s Day Sunday — a huge couples day — actually going up six percent to $45 million. Rookie feature director Tim Miller set a clever course and screenwriters Rhett Reese and Paul Wernick came up with a bristling and briskly paced plot and the largely unknown supporting cast of Morena Baccarin, Ed Skrein, T.J. Miller and Gina Carano delivered. That enabled Reynolds and “Deadpool” to find the same sweet spot that “Guardians of the Galaxy” did in 2013 — appealing to mainstream types by poking fun at superhero movies while still pleasing fans of the genre by delivering on that level. “Deadpool” — in which the wise-cracking antihero frequently interrupts the mayhem to deliver asides to the audience — built steam throughout the weekend and went off the charts on social media, the modern equivalent of the water cooler. 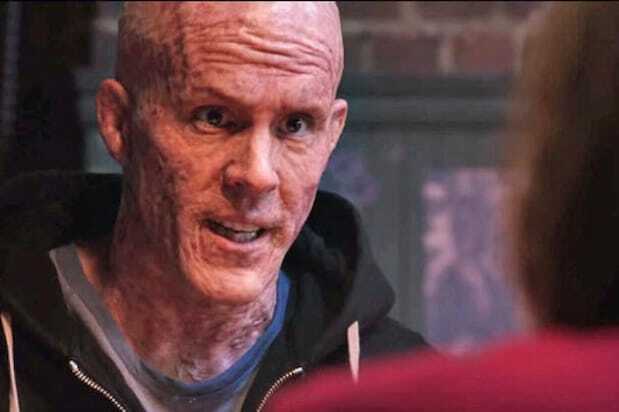 The breakout debut wouldn’t have happened if the studio’s leadership, led by chairman and CEO Jim Gianopulos, hadn’t shown fortitude by going all in on “Deadpool.” That took a lot of courage and empowered production president Emma Watts to support the unique vision that Reynolds, Miller, Reese and Wernick had for the film. It also meant shaking off the studio’s last effort with Marvel, the “Fantastic Four” flop, and pulling the trigger on a property long seen as risky because of its obscure and quirky lead character and the uncharted nature of marketing Marvel’s first R-rated movie. That vision was fully realized and the results speak for themselves. The February release date, which fed a post-“Star Wars” event-movie hunger and now offers smooth sailing for weeks, was perfect. And the film’s comedic timing was spot-on, smartly sending up superhero movies — “My common sense is tingling,” our hero says, spoofing Spidey — just as the genre flirts with oversaturation and fatigue questions with some major franchises. 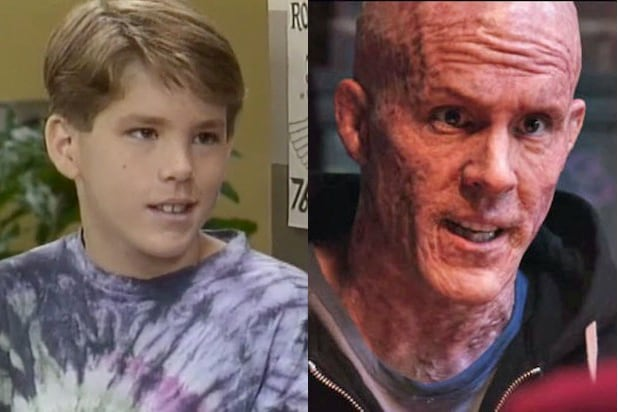 Ryan Reynolds has been itching for a breakout franchise role for years. The backstory of the actor’s keeping the project alive for more than a decade and then getting a break when a leaked scene last year lit up the Internet heightened the film’s appeal to devoted fan boys and struck a chord with casual movie fans as well. The Canadian-born actor may have flopped as Green Lantern, but as critics, commenters and social media have repeatedly pointed out, Reynolds was perfect for this role and brought a degree of passion no else could have. 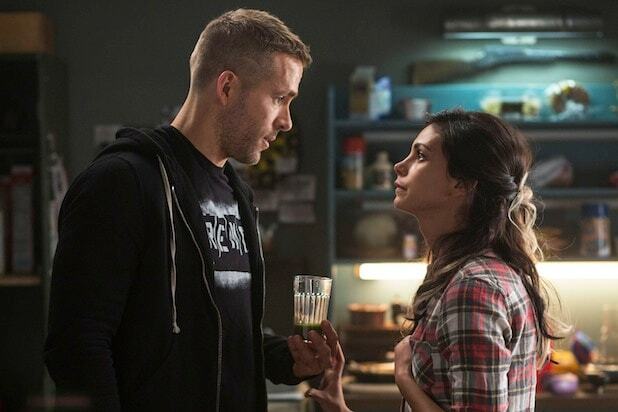 Given the “hard R” — for relentless graphic violence and sexual innuendo — “Deadpool” was expected to skew young and male. Fox didn’t release the audience breakdown by gender and age on Sunday, but you don’t take in $135 million in three days without doing pretty darn well with women and some older folks in addition to hitting your main demographic target. “They went much deeper into teens and women than anyone expected,” said one rival studio exec. It’s possible the R-rating may actually have helped, since many young fans had to bring an adult to gain entry. 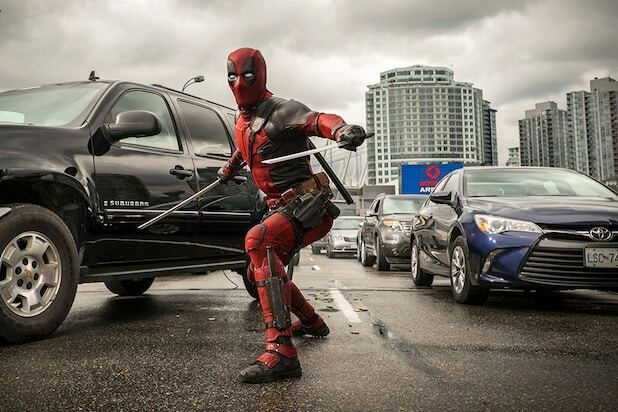 Deadpool” averaged a staggering $37,943 at its 3,558 locations. PLF and IMAX screens gave it a huge boost. Cinemark XD led the way as 465 PLF screens delivered an estimated $17.6 million (13 percent) share of the three-day grosses. 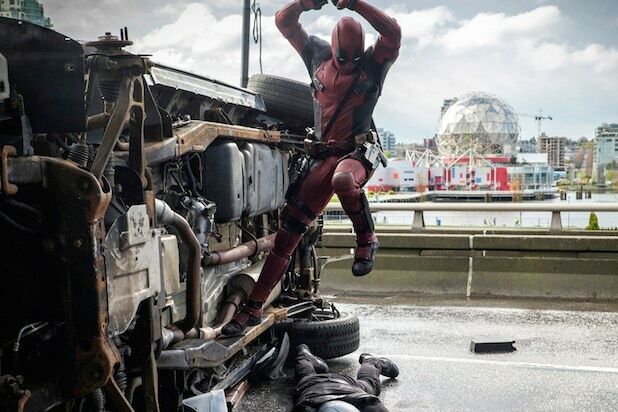 The 374 IMAX brought in $16.8 million, beating all February and R-rated title records.